3D printing lets you turn 3-dimensional computer designs into actual, solid objects that you can hold in your hands (or sell for money). Creating 3D printed objects that look life-like is not science fiction any more. It is real and happening right now. Modern 3D printers have stunningly innovative uses in a diverse range of products, services and industries. Just take a look at this indicative list to realize just a tiny "slice" of where all 3D designs are being used "right now". Toy making, Chocolate making, Printable food supplies, Cell phone designs, Jewelry design, Electronic circuit boards, Prototyping and Concept design, Rare parts recreation, Car body design, Racecar engineering, Solar car battery packs, Architecture and interior design, Computer-aided manufacturing, Emergency medical and dental Equipment, Prosthetics in war fields, Weapons technology and Law enforcement, Military drone parts, Aircraft parts, Camera parts, Space exploration, Special effects for movies, Custom inventions that can be printed remotely. Today's 3D machines are versatile, affordable devices that can print almost any object using a number of common materials. You will also learn how to choose the right 3D printer cheaply, and get access to high-quality software to create custom 3D merchandise easily. 3D printing uses laser technology to convert digital files into natural-looking objects (as if they have been sculpted or carved by human hands, or a very precise machine). Lasers are used in 2D manufacturing because they help in lending realism to the final product.They are an inherent part of what's called the additive manufacturing process-which is a way of adding layer upon layer of melted plastic, wax or sandstone to render a solid object in multiple hues, textures and colors. SLA and SLS printing is usually reserved for industrial quality 3D printing. 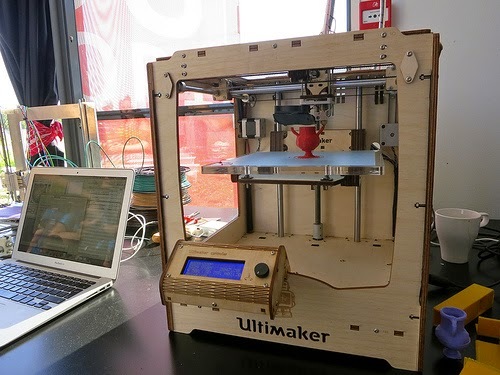 3D printers for consumer use in homes, shops or small businesses employ FDM manufacturing. In other words, if you buy a 3D printer right now, chances are it's going to be an FDM machine. The top manufacturers and models of 3D printers are MakerBot, Cube X, Solidoodle, Ultimaker, Velleman, Up Plus, MendelMax, FlashForge and Alfinia H-Series. If you look at costs starting with the lower end, you have Buccaneer 3D printer (supported by Kickstarter) that costs as low as $300 retail, and is aimed at the beginner market. The flipside is, that's about as low as you're going to get, and is an exception rather than the rule. Expect to pay at least $499 for a good quality, affordable 3D printer like XYZprinting Da Vinci, on Amazon or other suppliers. Keep in mind that the prices of 3D printers are coming down all the time, and even high quality printers that cost as much as $3290 are set to become cheaper by the end of this year. Besides, the good thing about 3D printing is that you don't even need to own a printer to become a productive and profitable part of this fledgling industry. The right time is now, and the sooner you get started, the bigger your advantage, payoff and market opportunity will be. That's a guarantee. You can rent a high-end 3D printer or even outsource the whole process to any of the dozens of specialty printing shops in your own neighborhood. That way, you get your own custom 3D designs produced (and sold) to a global marketplace for a fraction of the cost of buying a printer and printing yourself. It all becomes clear once you know how. 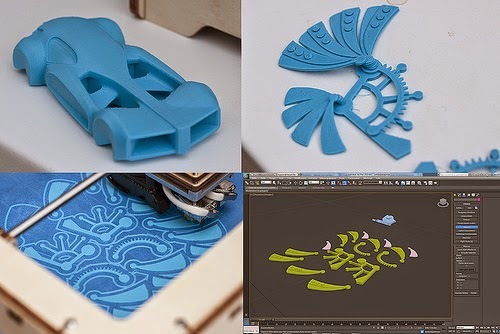 Most 3D printers come with their own 3D modeling software, or you can download a free (but slightly complicated) software like Blender to create your own customized designs. Worry not if all of this sounds Greek and Latin to you. Even if you have no prior experience with 3D modeling, you can always download free 3D models from the internet and convert them to STL, OBJ or X3D formats that can be read by a 3D printing machine. If you want better control over the final output and result then it's always a good idea to try your hand at basic 3D modeling techniques and tutorials. No more than a week or two is required to learn them. Start with a user-friendly 3D software like ZBrush + Substance Painter, where you can literally push, pull, poke and sculpt "digital clay" into high resolution CGI models in no time. Once you start doing it, it's really very simple to achieve fantastic realism in design and quality. 3D printing is set to revolutionize and radically change how computer-aided manufacturing (CAD) is going to work. the world over. It's also a great way for North American, British and Australian product creators to counter the effects of Chinese manufacturing and support local jobs. Instead of relying on foreign companies or big businesses to create expensive products for you, you can create your own cheap, but high quality, 3D products at home, and even sell them for profit. This is the quickest way for you to create a monthly source of income that is both recession-proof and legitimate. What do you do if you want to print with materials other than plastic with your home 3D printer? 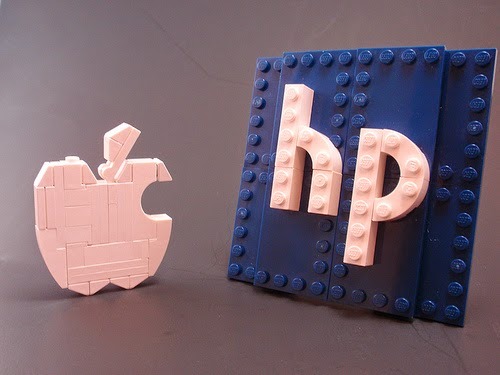 Simple: Send your designs across to a 3D printing service. 1. You can get your designs 3D printed in a variety of different colors, textures and materials (e.g; alumide, ceramic, wax and aluminum) without buying an industrial grade 3D printer for the same. 2. The turnaround time for such services -- i.e., to get your models printed and delivered to your doorstep -- range from 7 days to 15 days. Note that your design gets delivered digitally, over the internet, and you receive the finished product in a box. Now, why would anyone want to explore other materials when plastic 3D printing is so cheap and easy on a home 3D printer? Well, for starters, printing with diverse materials gets you more high quality results that won't be possible (or would be difficult to achieve) with a 3D printer that prints with only ABS/PLA thermoplastic filament. 1. Alumide gives your 3D product a metal-like look without the expense of metal 3D printing. 2. Sandstone 3D printing is great for multicolored, textured prints, specially sculptures and lifelike human objects. 3. Ceramic gives your 3D printed object a highly glazed, smooth, tough and shiny look. If you are printing storage containers for food then ceramic is one of the best materials for that purpose. So, do you want to know more about the kinds of objects a 3D printing service can deliver? How it all works, and how quickly you can get started? 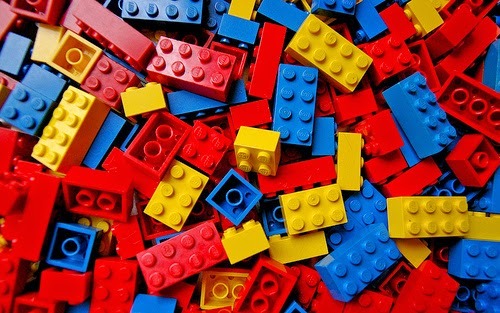 Lego blocks. Classic example of ABS thermoplastic. Acrylonitrile Butadiene Styrene, or ABS, is one of the most popular 3D printing materials with which to print physical objects. Rivaling only PLA (Polylactic Acid) -- its plastic cousin -- in strength and toughness, ABS has made a mark for itself as a stable, durable, petroleum-based thermoplastic for modern 3D printers. 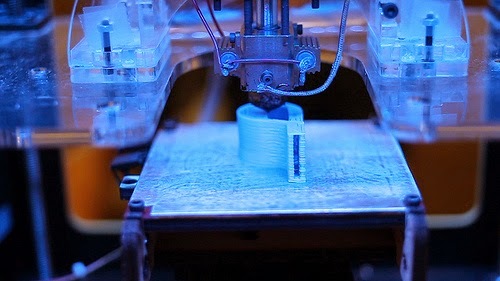 The biggest improvements in 3D printing have been characterized by the constant drive to (a) lower the cost of 3D printers and make them more affordable to the mass market, and (b) increase the output quality and accuracy of products being printed. 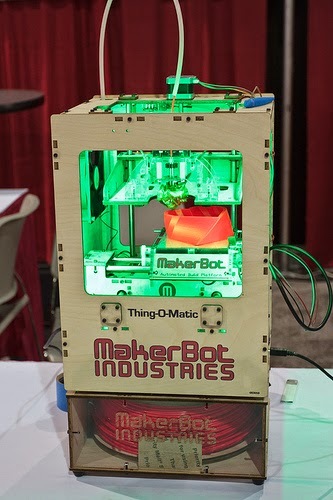 The combined contribution of RepRap, the open source community, and 3D hardware makers like MakerBot have fueled the explosive growth of 3D printing technology --one that emerged not too long ago as a niche item, and has since started to achieve mainstream adoption and success in manufacturing circles (including home-based businesses). While toys, jewelry, cell phone covers and mechanical parts make up a good chunk of 3D print productions, other areas like using a 3D printer to print food are pushing the boundaries of what's possible using a humble printer. Truth be told, custom designed printed chocolate is one very real idea that's starting to shape up the food industry. And there are other improvements too. Starting in 2012, scientists have dabbled with the use of metal (like silver) as a source of 3D printed objects.One fascinating new invention coming from British Engineers involved melting metal powder to create 3D models comprised entirely of Aluminum.Can you say aircraft parts? 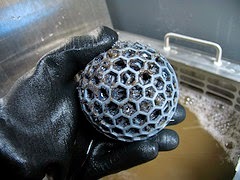 That was possible thanks to Selective Laser Melting (SLM), the industrial equivalent of Fused Deposition Modeling (FDM) that consumer printers are based on. Remember that both industrial printers and Amazon purchased home printers use lasers to print 3D objects. The difference is in geometrical accuracy, size of final products, and overall material and visual complexity. Incremental improvements in both 3D printers and the software that makes this kind of printing possible, have benefited such radically different applications as hearing aid shells and rocket base design. If anything, there's an entire new 3D printing business community that has set up shop to make these improvements and advancements accessible to regular people anywhere in the world (not just scientists or engineers tinkering in the lab). This new breed of entrepreneurs is leading the way for the rest of us by creating profitable ventures where none existed just a year ago. Want to Know More About These Businesses and Individuals?